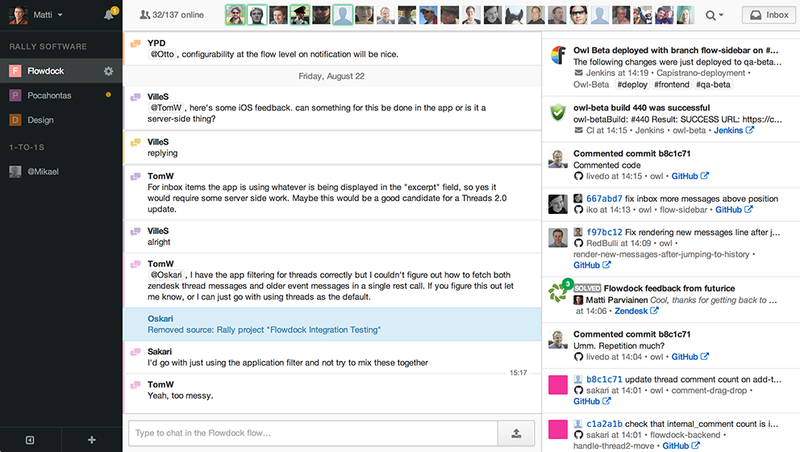 Flowdock, a tool that helps teams communicate and keep track of conversations about different projects, has announced that it has fully overhauled key elements of the UI and added new features in a bid to make the platform easier to use. Among the changes is a revamped sidebar that shows your conversations and ‘flows’, along with activity indicators. Previously, individual flows and conversations were each shown in their own tab, which had potential to get confusing. Alternatively, if you don’t want to see this sidebar, you can just collapse it. Flowdock said the chat and team inbox features have switched sides now too and that there’s a simplified text entry box for taking part in conversations. There’s also an option to toggle the team inbox on or off according to individual flows. There’s also now a notifications list, to allow you to view all your mentions in one place, and a new message indicator that allows you to quickly jump back to the last message at the point when you last had a particular flow open. Flowdock’s founder Mikael Roos told us that the updates were silently made available in beta form to users as an opt-in update about a month ago, and now that they’re ready to lose the beta tag and make the new features available to all. The platform’s accompanying mobile apps (iOS and Android) have also been updated quietly before today, he added. It’s a crowded space, for sure, but Roos says that Flowdock brings team workflow together in a way that rivals like Slack or HipChat cannot. 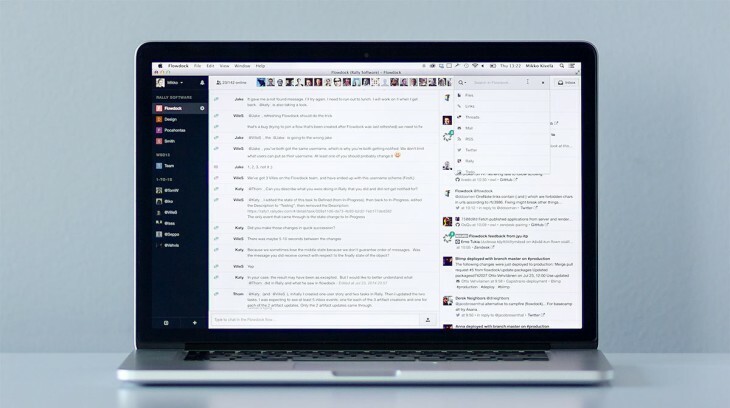 A lot of the time we’re fighting the status quo of too many e-mails, meetings and other broken ways of communicating status within the team… Flowdock promotes transparent conversations, supports threaded group chat and integrates to all your team’s tools so you can communicate simply by doing work.